Dan from DG-Spec was taking his Scion FR-S out to Buttonwillow Raceway Park to test a new suspension setup, and asked me if I wanted to go. I just installed the Full Race ETS-Pro ATTESA controller, and I wanted a good place to test it out. Look for a full install and impression write up on that soon, although that will probably go on MotoIQ. I don't drive a lot on the track, normally I am on the pit side of the wall swinging wrenches, and fueling cars. This time though, with Dave, and Aidan at the track, we had enough World Challenge experience to support a single Scion FR-S for a track day. So, prepped #500 NISMO, with a new set of Carbotech brake pads - XP12 in the front, and XP10 in the rear, changed the oil, and loaded it up in the trailer. Started the day following the FR-S around. 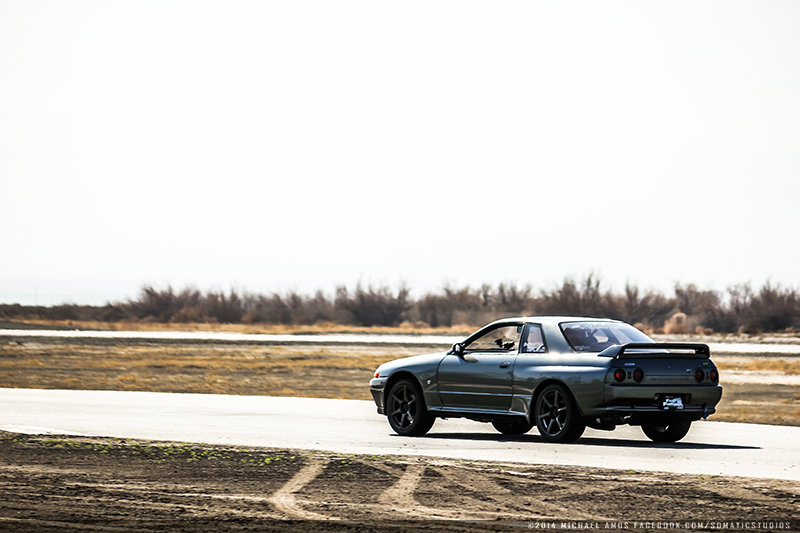 The last R32 that I drove at the track, was the R32.4. That car even at low boost was over 400 wheel horsepower. Ohlins, Toyo T1S tires(265 all around), upgraded ATTESA, Brembo brakes, R34 ABS, in other words a beast. On pump it did 550, and race gas over 635 horsepower at the wheels. The #500 Nismo is about the opposite of the R32.4. 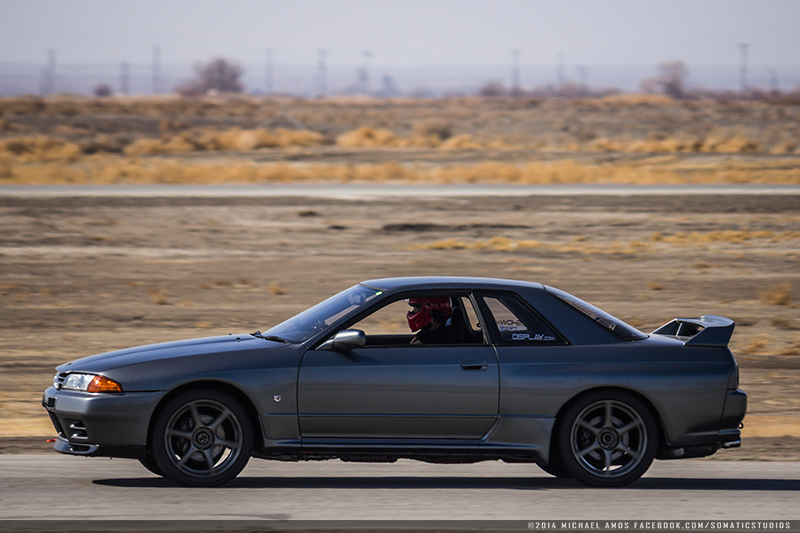 Stock suspension, R888 tires on R34 wheels (245 all around), stock muffler, K&N filter in the stock airbox, stock boost. It is probably in the 250-280 wheel horsepower range. Weighs 3300 lbs. 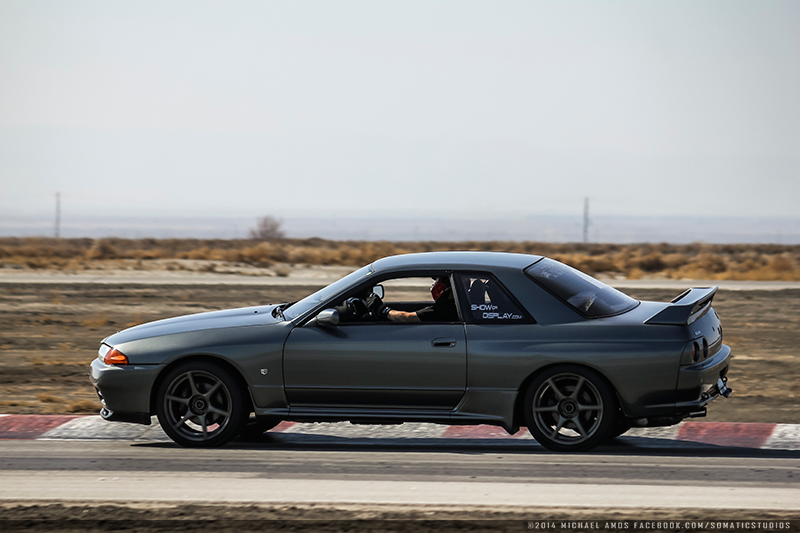 Best I did a five years ago in the R32.4 was a 2:01.8. Friday in #500 I managed a 2:10.7. 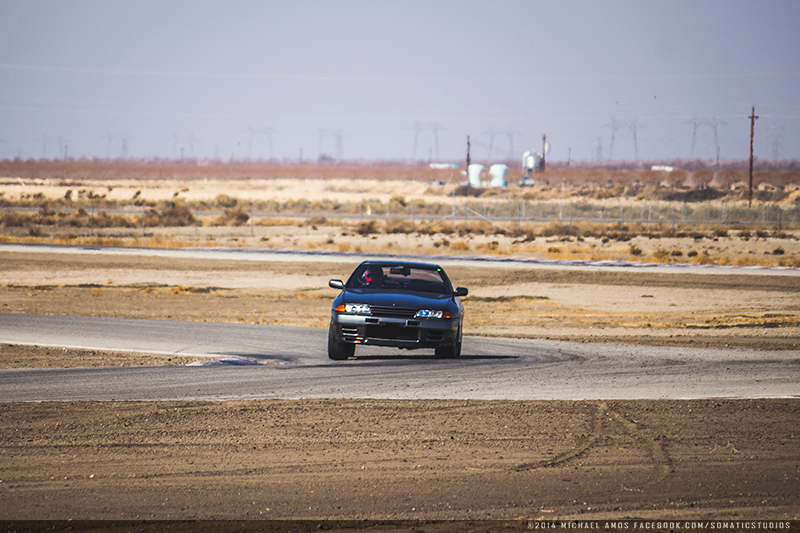 The ambient temperature, and the track conditions were perfect. Around 70, sunny, light breeze. Really couldn't get a better day. Lots of track time. Eventually in my last session, I noticed the clutch was starting to slip in 4th gear under high load. I knew it was coming, as a few weeks ago, I tried a hard standing start and smelled the clutch for a while. Not a huge deal. If you ever read my GT-R basics, you would know that the fuse is the clutch. I already have a NISMO twin plate coppermix in the garage, along with a NISMO clutch line. Although I am tossing around the idea of putting a hydraulic release bearing in it. Check out some pictures from Somatic Studios below.